The Vance Center sponsored a workshop in El Salvador with long-time client ALDES, an LGBT rights NGO in El Salvador. 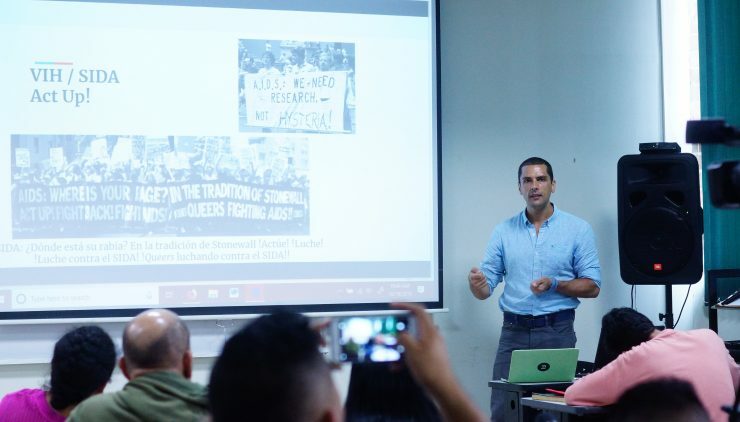 Thirty Salvadoran journalists attended the workshop, “[A] national and international perspective on the power of the media to promote respect for the rights of sexual minorities”. Rio de Janeiro-based New York Times Latin America regional editor Ernesto Londoño led the workshop. He walked participants through a series of exercises on best practices in coverage of LGBTI issues, including the merits of incorporating policies of non-discrimination in the newsroom. He also shared a brief history of how the press in the United States covered LGBTI issues, focusing on Stonewall, the AIDS epidemic, marriage equality, and the rights of transgender people. The workshop followed on the Vance Center’s engagement over the past four years on LGBT rights in El Salvador, including legal advice to the LGBTI community in advocating for hate crime legislation and defending against discrimination, training for Salvadoran lawyers in representing the LGBTI community, and more recently training for judges on prosecution of hate crimes against LGBTI individuals.